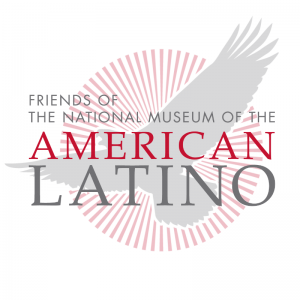 (Washington, DC) Today, Friends of the American Latino Museum (FRIENDS) announced that nearly 100 organizations have signed on as official partners of the campaign. 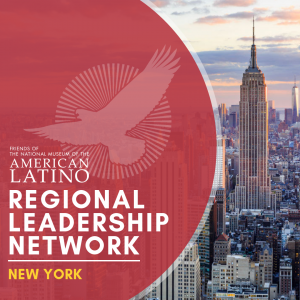 Groups represent powerful community organizations and advocacy groups that reach beyond legacy Latino coalitions, representing a broad scope of sectors. Partners include: labor movement leaders AFL-CIO, American Federation of Teachers, and Farmworker Justice; conservative voices the LIBRE Initiative, Hispanic 100, and the Latino Coalition; civil rights advocates the National Urban League, NAACP, National Center for Lesbian Rights, Muslim Public Affairs Council, and Mexican American Legal Defense and Education Fund (MALDEF); as well as business sector organizations including the United States Hispanic Chamber of Congress and Minority Business Roundtable. By signing on to the campaign (which has seen deep public support for more than a decade), partners add their voices to the call for a Smithsonian National American Latino Museum to join the iconic Smithsonian institutions lining the National Mall. “We are honored to see such a distinguished and diverse coalition of national partners come together in order to ensure that our nation’s history is inclusive of the 500 years of U.S. Latino history that sits at the core of our founding,” stated Estuardo Rodriguez, executive director of FRIENDS. 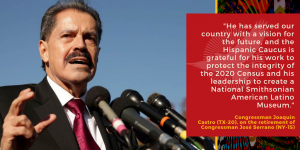 In June, a bipartisan coalition in both the Senate and House introduced the National Museum of the American Latino Act with -sponsors: Rep. Ileana Ros-Lehtinen (FL-27), Rep. Jose Serrano (NY-15), Senator Bob Menendez (D-NJ), Senator John Cornyn (R-TX), Rep. Will Hurd (TX-23), and Rep. Tony Cárdenas (CA-29). The bill advances the legislative effort that began in 2003 when Rep. Ros-Lehtinen and then-Representative Xavier Becerra introduced the first bill to secure a location on the National Mall for the site. “Rice University is honored to be part of this worthy campaign. We believe that diversity and inclusion and the preservation of the Latino culture is vital to the success of this country,” said David Medina, director of Multicultural Community Relations in Public Affairs at Rice University. SER — Jobs for Progress National, Inc.